Whether it’s aches and pains, stiffness, headaches, indigestion, stomachaches, yeast imbalances, viruses, low energy, weight gain, or free-radical damage, it often goes back to two things: acidity and inflammation. To understand how acidity plays a role in producing bodily inflammation, you first have to understand pH, or the measure of a solution’s acidity or alkalinity from 0 to 14, 0 being the most acidic, and 14 being the most alkaline. Our bodies need a very specific pH balance to function and maintain homeostasis. Even slight changes to the pH of our blood, for instance, can be extremely problematic. Our grocery stores and diets are overrun with highly acidic foods. Caffeine, alcohol, processed foods, sugars, refined flours, pasteurized dairy, and animal protein are all highly acidic forming in the body, and if you are eating these on a regular basis, chances are you may experience at least some sort of chronic symptom of inflammation. Even natural processes of the body produce acidic byproducts. Stress also contributes greatly to an acidic environment. So what can we do? How do we reverse the effects of these highly acidic foods and actions? Just as food plays a role in producing an acidic environment, it can be transformative and healing to the body, reducing inflammation and creating an environment that supports health. The goal should be to consume 80 percent alkaline foods and 20 percent acidic foods. Not all acidic foods are unhealthy necessarily; however, extremely acidic foods like those stated above should be greatly minimized. Fresh fruits and vegetables that have been lightly seasoned and cooked should be the focus of your diet. Leafy greens are full of nutrition, loaded with alkalizing minerals, phytonutrients, antioxidants, and anti-inflammatory omega 3 fatty acids. Load up on kale, chard, spinach, lettuces, bok choy, etc, daily. In addition, fruits and vegetables in general should make up most of your plate at every meal. This South Asian rhizome has long been used and prized for its anti-inflammatory properties. Today, you can find it just about anywhere — in juices and smoothies to supplements and teas. The main compound responsible for its anti-inflammatory benefits, curcumin, has been used to fight simple colds and flus, Alzheimer’s disease, liver damage, prevent cancer, and of course relieve inflammation. 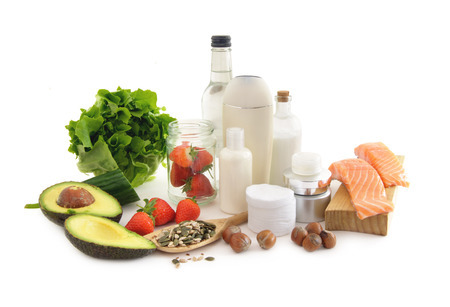 By now most of us know the importance of omega-3 fatty acids and their role in relieving inflammation. The best source for these fatty acids is fish; however, some sources are better than others. Top of the food chain, large ocean fish can contain high levels of mercury and other heavy metals. Stick to wild salmon, or smaller, oilier fish such as sardines and anchovies. Fish oils can also be taken as a supplement. I recommend taking fermented cod liver oil. In addition to omega 3 fatty acids, it also supplies necessary D and A vitamins in a more bioavailable form. Berries in general are lower in sugar than most fruit and contain large quantities in inflammation-reducing antioxidants. Blueberries and dark-colored berries especially, due to their high levels of the antioxidant quercetin, and are especially anti-inflammatory. Walnuts are not only an excellent source of protein, they are also a source of anti-inflammatory omega-3 fatty acids, antioxidants, and vitamin E. Consuming walnuts regularly may help to support brain health and function and reduce inflammation throughout the body. There is plenty of reason to get behind bone broth. Full of core and essential nutrients and alkalizing vitamins and minerals, bone broth supplies a healthy dose of easily assimilated nutrients from calcium, magnesium, silicon, and phosphorus, as well as collagen, hyaluronic acid, protein, and connective tissues to aid in reducing inflammation and supporting the joints, skin, and bones. Coconut oil is a highly anti-inflammatory fat that is made up of mostly MCFAs, or medium-chain fatty acids, which are easier to digest and not readily stored as fat. In addition, coconut oil contains antimicrobial and antifungal properties from caprylic, lauric, and capric acids, aiding in reducing inflammation, lowering high blood pressure, improving energy, and boosting the immune system.